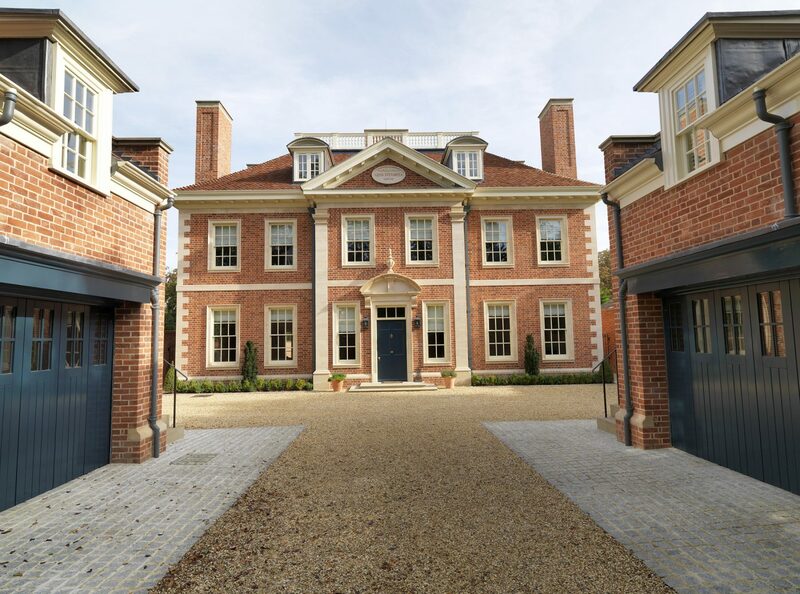 Donald Insall Associates designed a new family house in a traditional classical style set in a Conservation Area. 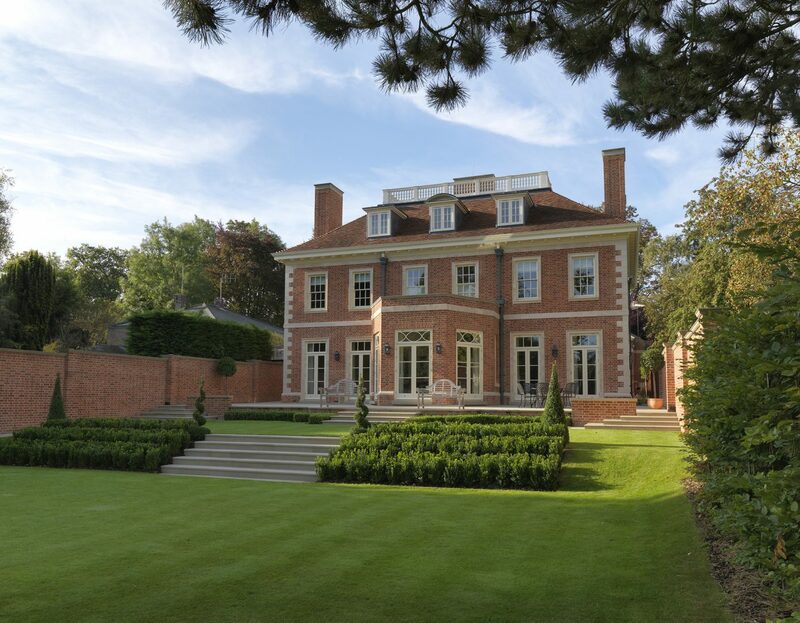 A formal front elevation, flanked by a pair of two-storey garages, is contrasted by a simpler rear elevation that overlooks a paved terrace and a grass tennis lawn to a swimming pool and a pair of painted timber pavilions. 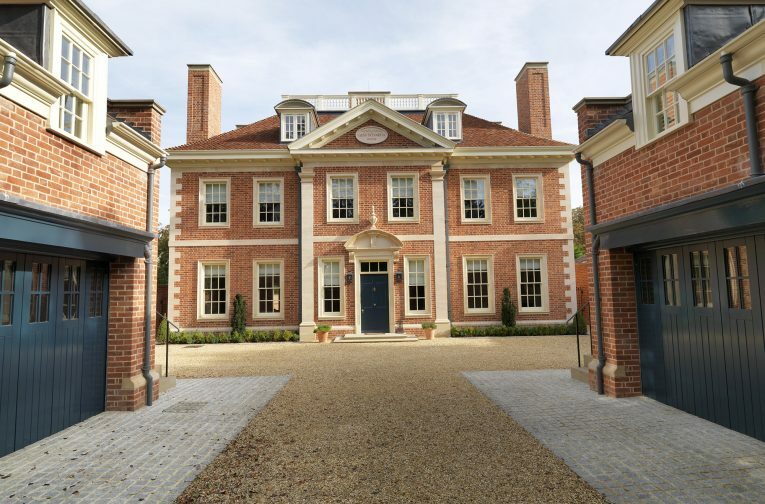 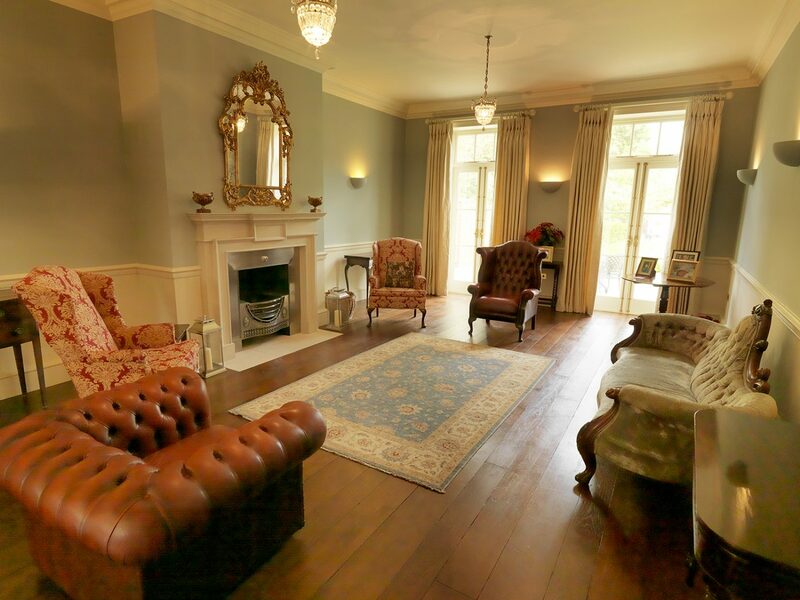 Although traditional in appearance, the house contains up-to-date services and is entirely suited to 21st century living.